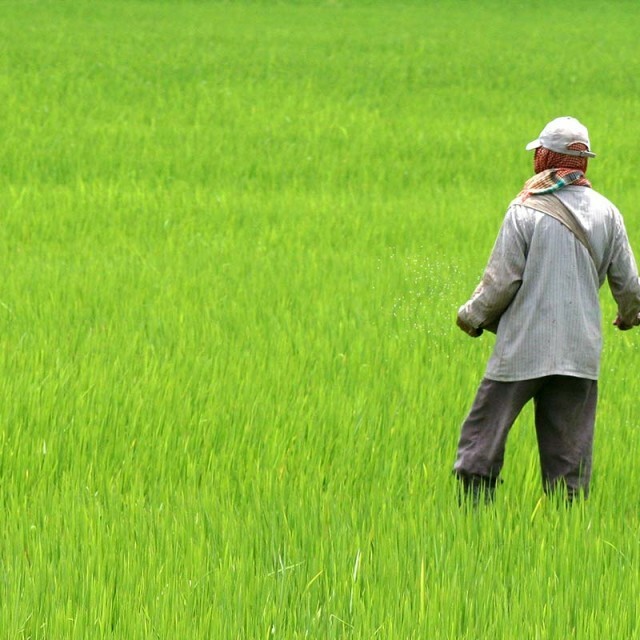 Darjeeling: The Tea Kingdom In North India. | Travel Photography Blog by Nisa Maier and Ulli Maier. 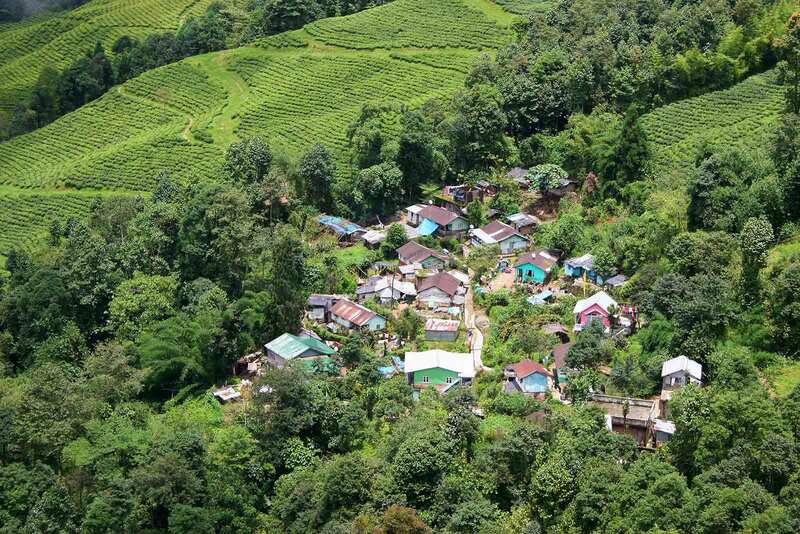 Yes, most of us associate Darjeeling with tea, but not everyone knows that there’s also a little town high up in the hills of West Bengal called with the same name. 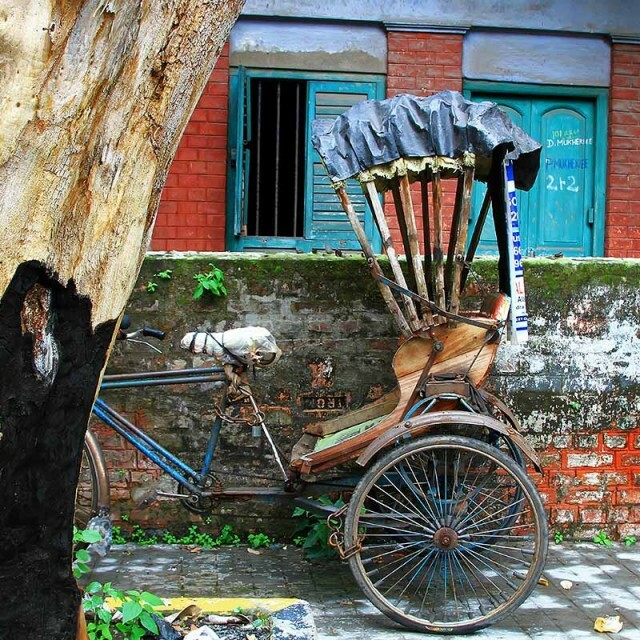 This town is the center of the “Darjeeling tea production”. Darjeeling is not a special sort of tea, every tea from the region is called “Darjeeling Tea”, whether it’s black, green or white tea. Some days before our arrival there, a leopard had striven into Siliguris urban areas and after getting nervous with the unfamiliar surroundings, killed and badly wounded some locals … We asked our driver about the incident and he told us that he had seen leopards many times while driving up to Darjeeling. He said that there are still many around but unfortunately we didn’t see one. The road was winding its way uphill and during summer time the area can be covered in thick fog as soon you get to higher altitudes (which was the case when we arrived there). A few route diversion due to landslides are pretty common and these diversions are pretty challenging due to the steep tracks. Our driver couldn’t be bothered … he just used the gas pedal to get the maximum out of the engine to master very steep sections. The few villages up the way to Darjeeling looked very beautiful. Pine trees are growing beside the road and the second half of the trip, you start sharing the way with the railway track which leads along the road up to Darjeeling. Traffic is pretty high and sometimes it’s a stop and go when big trucks want to pass and the train steams along. 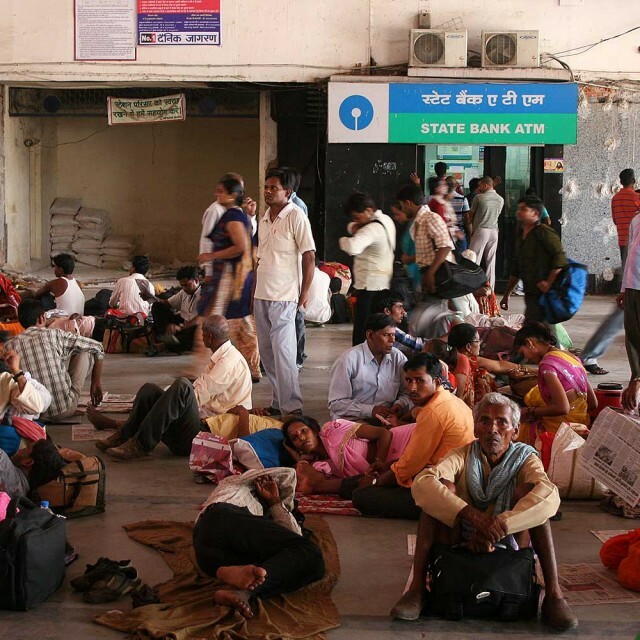 Sometimes the train crosses the street, so all cars have to wait; it’s pure action and very noisy with all the honking. Anyway, setting out to check out the town immediately after arrival, we realized that walking around was really tiring. The altitude is about 2200 meters and the area is very steep, so you need good shoes (especially when it rains because then it gets really slippery). 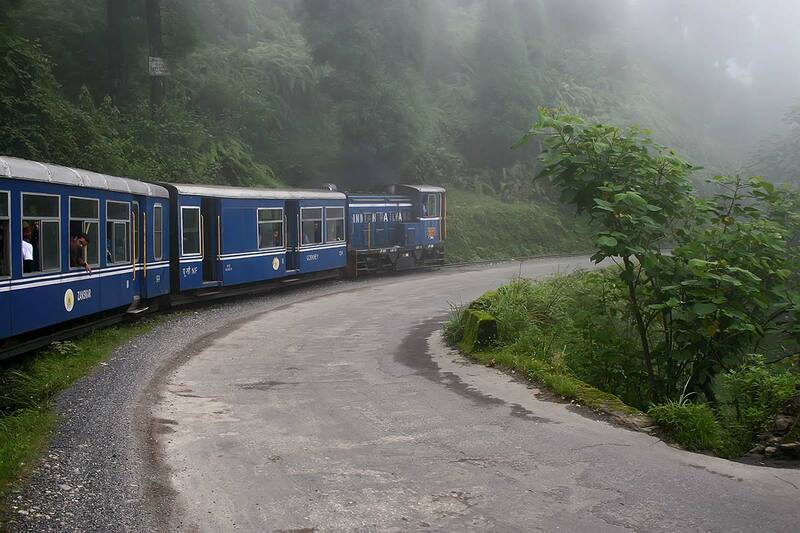 On the next day we took the Toy train in the morning down to Kurseong. The train looks so cute with its little carriages and the station was still original as it was when the British built it around 1880. The steam engine has a very noisy horn, honking constantly to warn people and cars of its passing. Since 1999 the train is a “World heritage”; a real masterpiece of railway construction. When the train passes Batavia loop (and the weather permits), you have a fantastic view above the valley … Another option to see the area is on a horse. You can hire horses and go for day trips into the valleys. But don’t expect to gallop through the area. This is not possible since it’s too steep and the horses walk very slow. Some Monasteries are along the way and houses are built like eagle nests along the steep roads and everybody is very friendly. 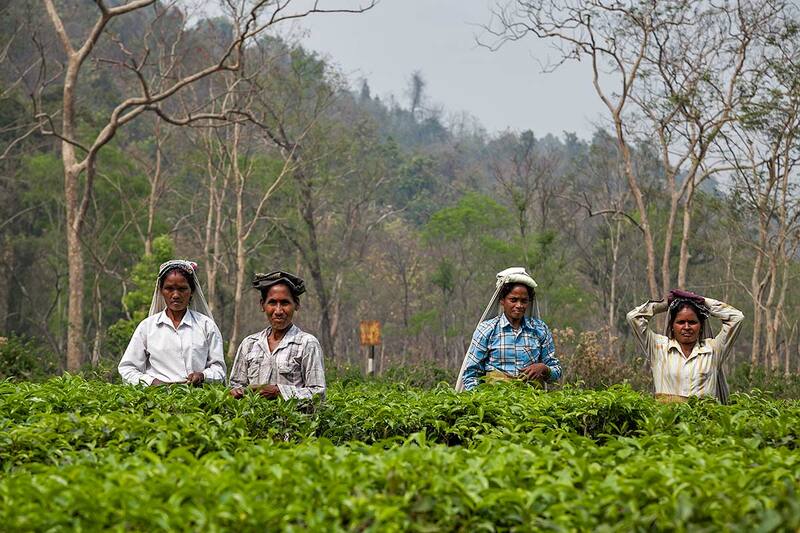 Tea pickers working under the sun of Darjeeling. 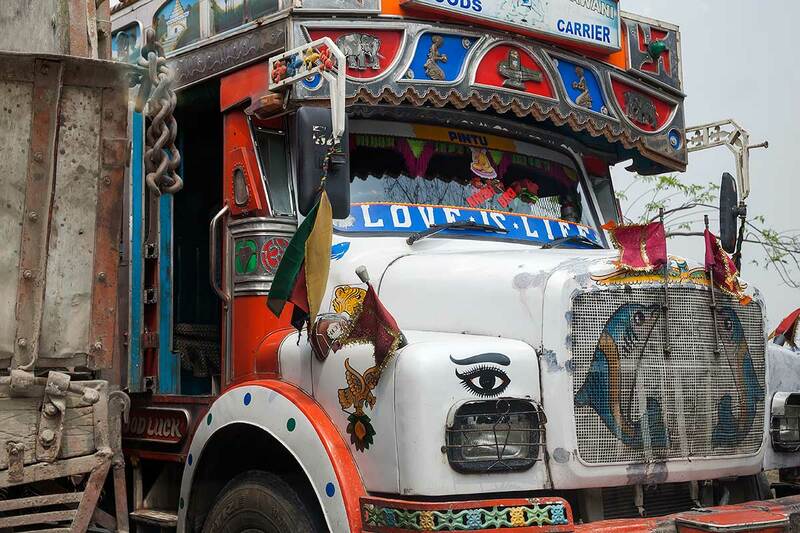 Typical trucks come all the way from Kolkata up to Darjeeling. Tea fields cover the entire area and surround small villages of Darjeeling. This woman greeted us at the train station in Darjeeling. 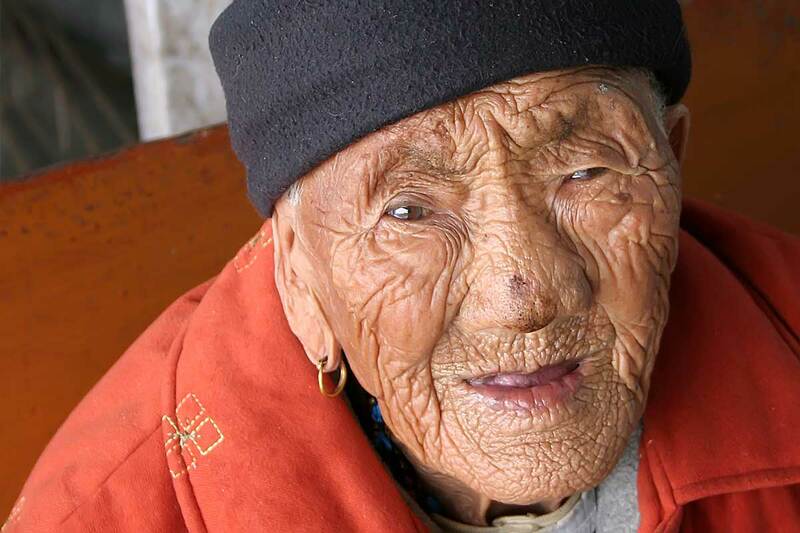 By the look of her wrinkles, she must be about 100 years old. The train ride up to Darjeeling mostly leads through thick fog right next to the street. 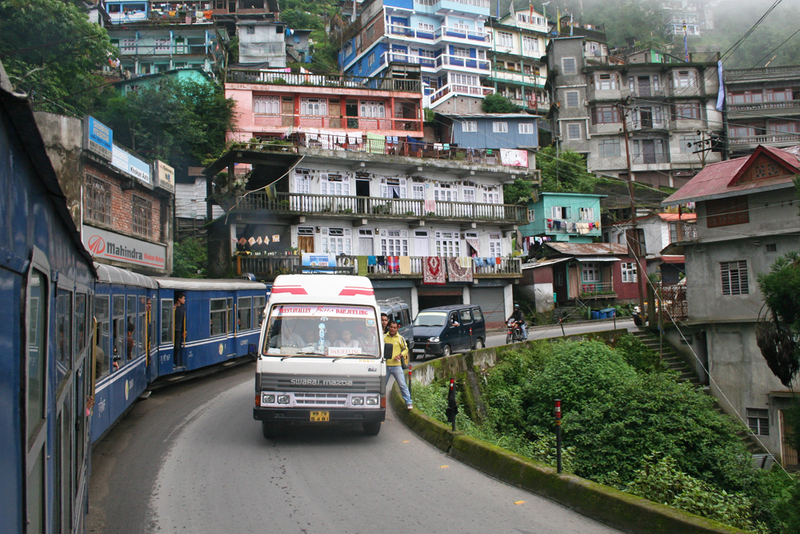 Even in villages along the way to Darjeeling, the train passes right through. 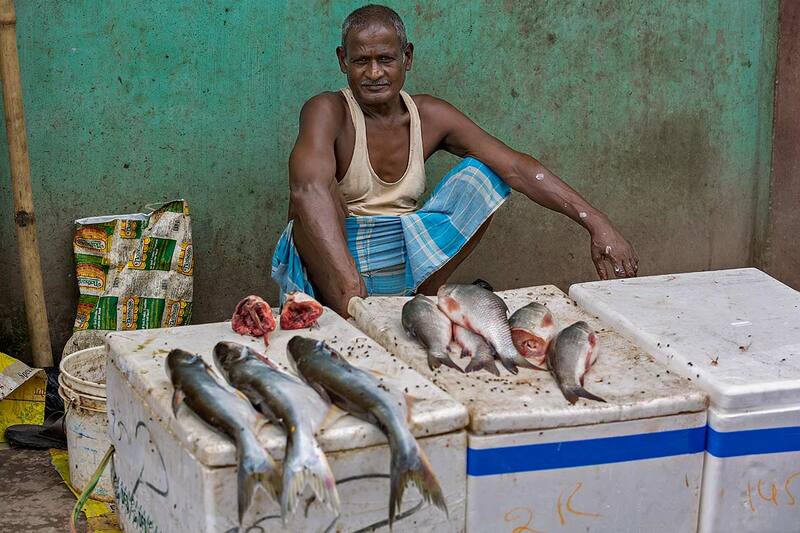 A local man selling his “fresh” fish at the market in Darjeeling. 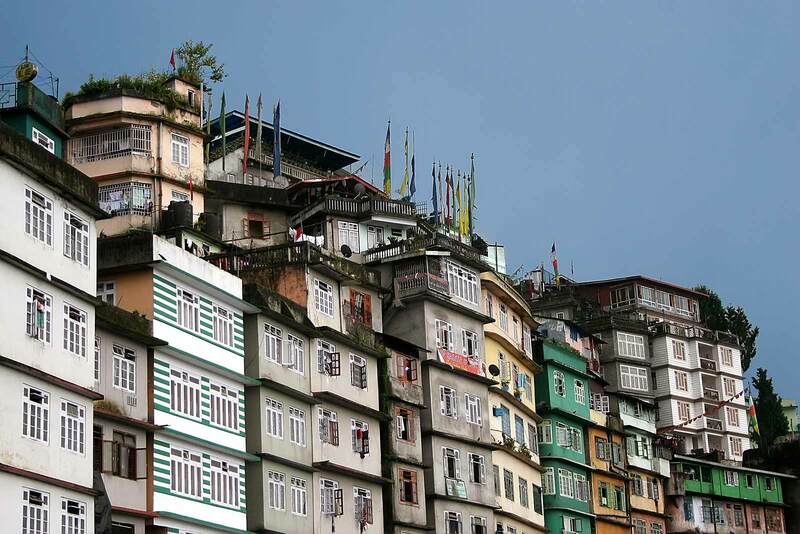 The buildings of Darjeeling, India. 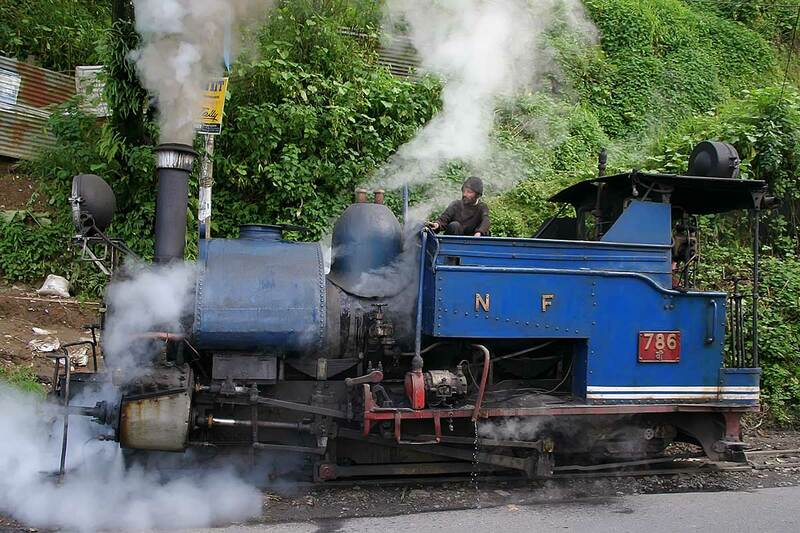 The Darjeeling Himalayan Railway, also known as the “Toy Train”, is a 60 cm narrow gauge railway that runs between New Jalpaiguri and Darjeeling. Hi, Wayne just told me about your site, pretty nice,miss you! Thanks heaps Brian! How are you anyway? Still up in Tahoe? 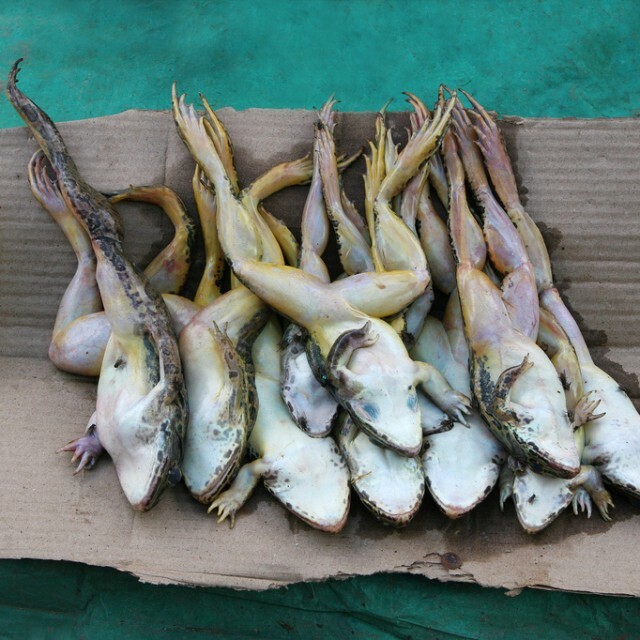 Travelling Nagaland Part 2: Impressions Of Dimapur.